What some may consider a problem we see possibility. Change The Narrative ! Usually when you hear “Berkmar High School”, it is engulfed by negative thoughts and remarks. Berkmar is filled with incredibly talented student athletes who attend practice and games malnourished wearing worn out shoes filled with holes. Witness this transformation of Berkmar and the Duluth community: Change the Narrative. 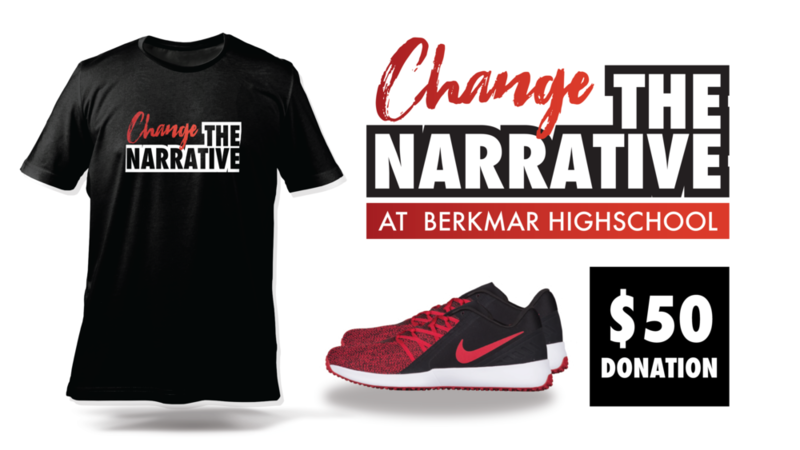 Change the Narrative is a campaign to bring needed resources to the student athletes at Berkmar High School. Together, we can transform the community. The change starts at Berkmar High School and it begins with you! Will you partner with us to Change the Narrative?